The Internet is saturated with videos of trucks barrelling into unsuspecting bikers, but nobody expects to be involved in one of these collisions until it’s too late. If you were injured or lost a loved one in a motorcycle truck accident, you should consult an attorney as soon as possible – while important evidence is still available and unaltered. Brad S. Tabakin is a seasoned personal injury lawyer who is also a motorcycle enthusiast. He will help you fight for the compensation you need to cover medical bills, lost wages, pain and suffering, and other damages. Mr. Tabakin has spent nearly 25 years representing bikers across the state and has won numerous six- and seven-figure settlements and verdicts. With his in-depth understanding of Pennsylvania motorcycle laws and personal injury proceedings, you will have peace of mind knowing that your case is in good hands. To schedule a free consultation, call us today at 877-333-0300. The raw moving tonnage of a speeding truck can cause devastating injuries to a motorist in an SUV, let alone someone traveling on a motorcycle. This is why trucking companies and their drivers are required to follow strict regulations to ensure these highway behemoths don’t turn into weapons of mass destruction. 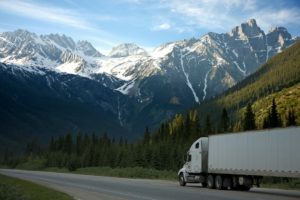 Unfortunately, both truckers and the motor carriers that employ them can behave negligently and put other people at risk. If you were involved in a motorcycle truck accident, you probably have a lot of questions. Your best source of answers is a seasoned personal injury attorney who can assess your case and offer personalized guidance. Brad Tabakin has the knowledge, skillset, and courtroom experience to help you navigate every step of the proceedings. He is passionate about helping people who have suffered personal injuries and the wrongful deaths of loved ones fight for the justice and compensation they deserve. Medical bills, lost income, and other expenses can add up quickly after a motorcycle truck accident. If you need help going up against the insurance company, turn to Brad S. Tabakin for aggressive and compassionate representation. Call 877-333-0330 today to set up a free consultation, and be sure to join our Facebook group to keep up with the Bikers Have Rights community.